RFinder - The World Wide Repeater Directory now includes coverage maps! Thanks to a new strategic alliance with CloudRF.com we will now have coverage maps for all repeaters on earth. Our systems are busy rendering and indexing coverage maps based on ground path loss using the Longley-Rice irregular terrain model. We have worked with Alex M6ZUJ at CloudRF.com to render coverage maps for nearly the entire collection of machines in RFinder's database. "CloudRF is honoured to have been chosen to support the world's premier repeater database with coverage maps. 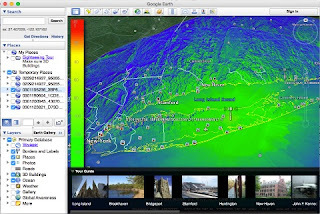 We look forward to working with RFinder to improve RF coverage maps for the world. RFinder is by far the largest collection of transmitters we have seen and we are excited to be part of this ground breaking project." says Alex Farrant, M6ZUJ, creator of CloudRF. "Bob contacted me in late February about our API. Several days later he had his own client script and had rendered most of his substantial database of repeaters at 100 mile radius each using CloudRF's powerful servers. Bob was able to efficiently out source the substantial horse power and reference data required for this mammoth task and download each site afterwards as a KMZ overlay for Google earth and host them himself. Best of all, most of the hard work was done whilst we were sleeping!" The resulting KMZ files are viewable in Google Earth on Windows and Mac (through web.rfinder.net and routes.rfinder.net), on Android and iOS versions of RFinder. The Windows and Mac versions allow multiple coverage maps viewable simultaneously, a great aid to Repeater Coordinators worldwide! As part of this project, RFinder will be providing complimentary access to repeater coordinators worldwide. As RC's update repeaters with HAAT, Power and Gain and updated Lat/Lon, maps will be automatically re-rendered within a few minutes and made available to all subscribed users. The procedure to sign up for the Repeater Coordinator program will be annouced mid-March of 2016. This new capability will make Repeater Coordinators more efficient, as they will easily be able to see repeater coverage maps side by side for both coordinated and uncoordinated machines. This information is critical as simplex nodes for internet linking, crossband repeaters and homebrew repeaters crop up worldwide using various new out of the box and homebrew technologies. For a limited time, users of the trial version of RFinder on Android will have access to coverage maps...After that only subscribers will have access. RFinder is a subscription service for ~$9.99US and a single subscription provides access through web.rfinder.net, routes.rfinder.net, Android, iOS, RT Systems and CHIRP, as well as POI files for popular GPS systems. RFinder is the official repeater directory of Federación Mexicana de Radioexperimentadores, A.C.. Mexican Hams that purchase RFinder support FMRE. Bob, W2CYK submitted this information. Having just concluded the Section conference call to plan the League activities at Green Country Hamfest in Claremore, the League forum and booth both are worth your visit! Chuck Skolaut, K0BOG will be on hand at the booth and in the Forum to answer your questoins. He runs ARRL Monitoring System, among other duties. Won't you tell your friends and neighbors about the hamfest? Talk it up on the nets and in social media, ex. Twitter, Facebook, and share information from the Blog. This promises to be an exciting event and one that should not be missed. ARRL has recently announced the 2016 schedule for our Teachers Institute on Wireless Technology. Please help us get the word out to teachers who can take advantage of this opportunity to find out how amateur radio can bring hands-on learning to the classroom. You may have seen the announcement about our plans for 2016 in our recent issue of Radio Waves. You’ll also want to read the article about the Teachers Institute in the March issue of QST. ARRL News published a story last week. These are all good references to use to promote the opportunity among hams in your section who may reach out to teachers and schools in your community. You are in the best position to know where to circulate information about this expenses paid professional development opportunity within your section. A listing on your state Board of Education website? Local school or school district websites? A web page for science and technology teachers? Word of mouth to teachers in your circle? 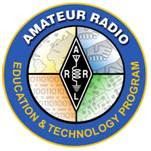 ARRL, the national association for amateur radio, has just announced the schedule for two sessions of its Introductory Teachers Institute on Wireless Technology (TI-1) to be offered during the summer of 2016. Now in its 13th year, the ARRL Teachers Institute is an expenses paid, intensive professional development opportunity for educators who want to receive training and resources to explore wireless technology in the classroom. Topics at the TI-1 Introduction to Wireless Technology, include basic electronics, radio science, microcontroller programming and basic robotics. ARRL will also offer an advanced Teachers Institute (TI-2) on Remote Sensing and Data Gathering. The linked article from the March issue of ARRL’s journal, QST, includes the schedule and description of offerings this summer. Please visit the ARRL website at: www.arrl.org/teachers-institute-on-wireless-technology for more details. Go to www.arrl.org/teachers-institute-application for information about applying and to download an application. April showers bring spring flowers... and the Green Country Hamfest April 8-9, 2016. Why the move to April for the Hamfest? There's several reasons... RSU Basketball is the big reason, their use of the Claremore Expo Center will conflict with the GCHF's dates. The Expo is a very nice facility in which to hold the GCHF, free parking, not to big - not to small, the staff is very helpful and the rent is a good value. Besides everybody knows where Claremore is, plus it should be warmer in April. With all that in mind, it just made sense to remain at the Claremore Expo Center and adjust the dates a few weeks. So after surveying all our commercial vendors we found weekend dates that they ALL can attend. Please make plans to visit us this year, in Claremore for theGreen Country Hamfest April 8-9, 2016. EARS invites anyone interested in Amateur Radio to the club station March 12, to see and even get on the air during the Oklahoma QSO Party. If you want to try HF Amateur Radio bands or just observe an HF station in ‘contest mode’ please come by! The Oklahoma QSO Party is one weekend that hams outside Oklahoma try to make contacts in all 77 Oklahoma counties. Amateurs in Oklahoma try to activate all 77 counties. Generally an Oklahoma Operator will call “CQ Oklahoma QSO Party”. When: Saturday March 12 from 10:00 AM until noon. Where: EARS Club station, 28 East Main St, Edmond Community Center, room 219. Brian Teters, AE5MT, will open the station. We've just published our Winter 2016 issue of Radio Waves. note : look for the ninety (90 ') foot tall Edmond Water Tower. tailgate is located underneath that water tower, in the rear parking lot..
FREE COFFEE & DONUTS, AND, FREE BOTTLED WATER. BRING A SMALL TABLE, IF YOU WISH FOR YOUR WARES & OR DISPLAY/S. HOPE TO SEE YOU THERE ! ! The writer asked "do you know what frequency the skywarn net is here in Houston. There are some tornado warnings". RepeaterBook lists Skywarn repeaters. It is a popular list. Always check with your local Weather Service Office. For help finding your local office, go to Weather dot GOV and enter your zip code. That will get your local forecast. Nets are listed in the Skywarn section of the page. There are also nets on 40 and 20 meters. What is YOUR local Skywarn net frequency?